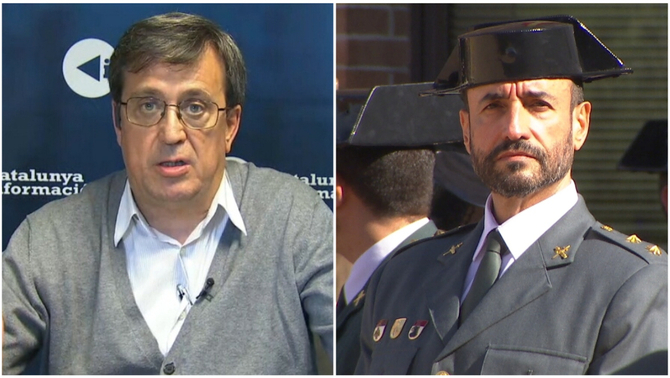 The newspaper Público has republished the sound recording of the conversation with Guardia Civil lieutenant colonel Daniel Baena in which he acknowledged that he was Tácito, the person in charge of the Twitter account that criticised Catalan pro-independence leaders. The account also criticised journalists that reported on the independence movement or actions of the Catalan Police (Mossos d'Esquadra). The call was made by journalist Carlos Enrique Bayo, who signed the information published in February 2018 jointly with Patricia López. The conversation barely lasted three minutes during which Baena begins by openly acknowledging that he is Tácito and ends up denying it firmly. In the meanwhile, he states that the account is managed by several people. Carlos Enrique Bayo: Hello? Mister Daniel Baena? Baena: Hello, how are you? Baena: Well... Well that does not, either... It does not, it does not... Let us say that it is something personal and that it has nothing to do with... with that... moreover, other people also manage that account, eh? I am not the only one. CEB: You are not the only person who manages the Tácito account? CEB: Is there anyone else? But are they also... let us say, are they also involved in the investigations? Are they... are they a part of...? CEB: Yes, yes, I am also aware of this one, of course. Baena: No! This is not led by a single person... It is not one person, it is a group of people... Moreover... It is a group of people. Moreover, it is not even me! CEB: Is it not only you? Baena: No, no, not even me, simply... no... [stutters] Not even me, simply, if something is retweeted... And yes, some things, the ones I publish on mine, they tell me 'listen, we have sent that'... But no, it is not I, it is not us... That is, it is not me. In other words, I do not manage that... directly. CEB: But do you know the people who manage it and how many people they are? Baena: What? No, man, I cannot, because if the person who... If there is someone involved, I just cannot tell. Baena: Noooooo... Because... Nooooooo... Because... Because I was... Because I thought you were referring to something else. Not to the Twitter profile. CEB: Okay, okay, okay. So you are not 'Tácito'? Baena: And if you want... Well, if you want... I don't know, we could meet and discuss it or whatever... But nooooo. With regard to that, I can tell you noooo, I am not, okay? CEB: Okay, okay. Okay then. Well then, thank you very much. CEB: Take care. See you later, bye bye. 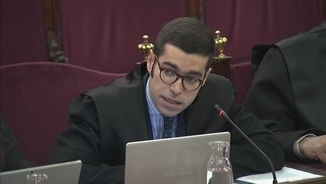 It so happens that Baena, the head of the judiciary police of the Guardia Civil in Catalonia, was the chief officer in charge of the investigations and reports on the Catalan independence movement that were the basis for the charges brought by investigative court 13 of Barcelona, the National Court and the Supreme Court, as well as the indictments of the prosecution. Thus, for instance, on 19 September 2017, he used the hashtag #sedition to refer to the action of 200 people who gave carnations to the Guardia Civil officers who went to the Unipost Company in Terrassa, sang L'estaca and shouted in favour of independence without preventing the officers from acting. "#sedition: to prevent civil servants from carrying out their duties... even when using flowers", he wrote. 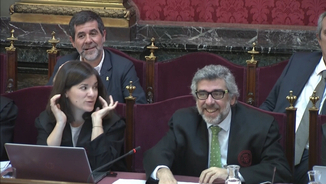 Two days later, after the mass demonstration in front of the Ministry of the Economy, the State Attorney General's office accused Jordi Cuixart and Jordi Sànchez of sedition. 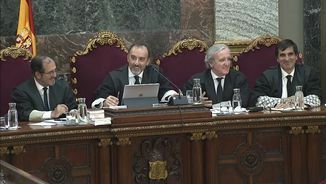 The presidents of Òmnium Cultural and the ANC were summoned by judge Carmen Lamela of the National Court, who put them on remand on 16 October. 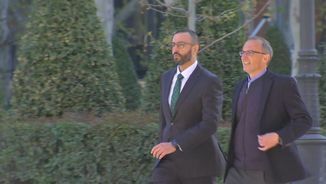 On Tuesday, Baena took the stand as a witness in the trial being held in the Supreme Court. 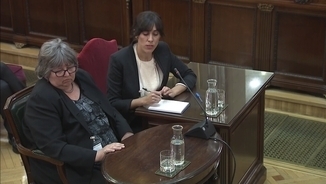 When questioned by Andreu Van den Eynde, the defence counsel of Oriol Junqueras and Raül Romeva, the lieutenant colonel denied being Tácito. It is not the first time that he does so: he himself reminded that he had already done so before the Parliament and the Senate. VAN DEN EYNDE: "I am saying this from memory, but I assume you understand me. There is an account called 'Tácito'. Are you a user or the owner of this account?" BAENA: "No, no. Here there has been an association with this account, because I had an account (...) and I followed this account. (...) I have denied this before the press, I have denied it before the Senate, and in the Interior commission of Parliament... And no, I am not the owner of this account." If Daniel Baena had lied before the Supreme Court, where he has taken the stand as a witness and he is bound to tell the truth, he would have committed a criminal offence. Helena Catt denies that the task she did for Diplocat was "electoral observation"